Axial has just released the Clear Body for the Wraith (AX04027). Now for people who purchased the RTR, they can paint the body to the color of their choice. 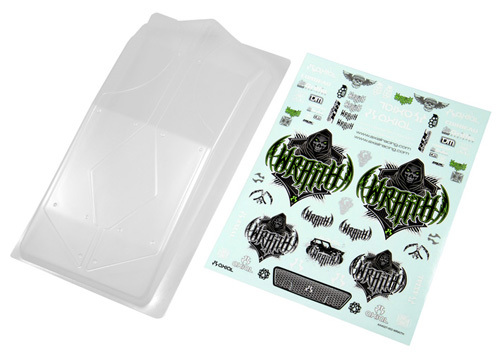 The clear body also comes with a sticker sheet that is pictured above.